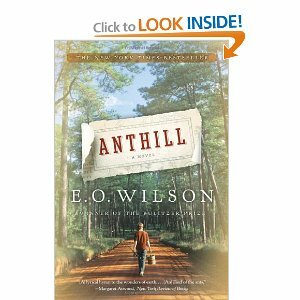 Anthill by E.O. Wilson is a fascinating book. It tells the story of Raphael Semmes Cody, the only child of a poor couple from southern Alabama, who as a child falls in love with the wilderness tract around Lake Nokobee; who develops an interest in observing animals of all kinds, in particular ants; who is supported through university by a well-to-do uncle with designs on grooming him for the family business; whose undergraduate thesis becomes “The Anthill Chronicles”, which describes the rise and fall of ant colonies on the edge of Lake Nokobee; who chooses to go to Harvard Law School to specialize in environmental law; who finally joins the land development company whose intention is to develop the land around Lake Nokobee. “The Anthill Chronicles” tell the story of one particular ant colony that, due to a variety of factors, expands far beyond the size of a typical ant colony. It grows beyond the ability of its members to feed themselves. Before a natural disaster occurs, the huge anthill is destroyed by humans. 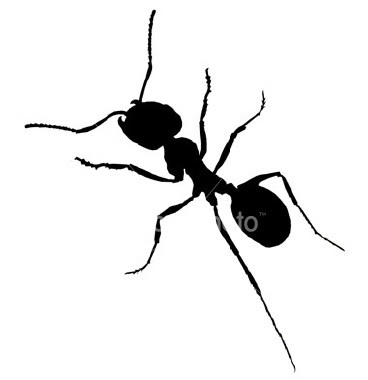 The writer draws a clear parallel between ants and humans. The ant colony is compared to the earth where population expansion is out of control, where the only way to survive is to attempt to expand continuously and the only way out must be destruction. On his path towards the final crisis, when the land development company finally has the opportunity to purchase the Nokobee tract of land and to develop it, Raphael learns to walk a tightrope, to behave ethically in representing the interests of the company and, at the same time, to save the land that means so much to him. It is this ability, of one individual who remains true to his values, that shines through in Anthill! 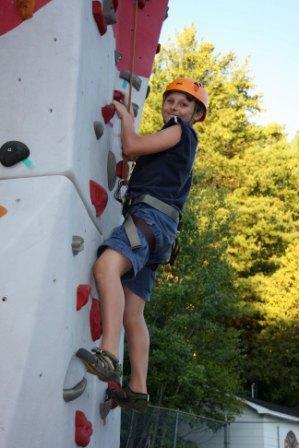 At Camp Nominingue, we work hard to create situations that challenge boys to develop their skills, to test out their ideas, to demonstrate their leadership and to forge their independence. In camp, this might occur at instruction, as campers develop their skills working through four skill levels at a variety of instructional activities. It might happen during a large group activity during the tribal games or voyageur games, as campers learn to cooperate with their team-mates to lead their team to victory. Opportunities to run a triathlon, to perform on stage, to climb the wall, to carve a paddle, to hike a mountain or to participate in a canoe or sailing race are available almost every day. A canoe trip, whether an overnight for 8 year olds or a ten day for 15 year olds, is another opportunity for campers to shine – as one camper lights a fire in the rain, another carries a heavy pack over a distance of a kilometre and another camper learns to read a map as the canoes drift out in the middle of a lake. This skill building, the challenges, the opportunities for decision-making and to take on a leadership role help develop a boy’s character. 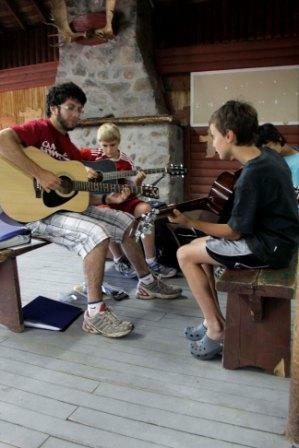 With the guidance of a skilled staff and outstanding role-models, boys at Camp Nominingue have the opportunity to develop their values and to test their identity. The ultimate end is personal growth, a gain in self-confidence, in independence and in his sense of responsibility. 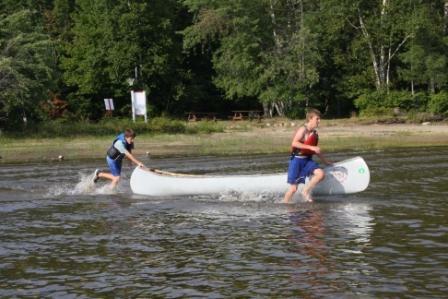 Camp is also a pretty fun way to spend the summer!